Okay, so you’re wondering how oats can possibly change your life. Well, it’s true, they can! But not just any oats, we’re talking overnight oats here. Once you get the easy skill and habit down of whipping up this raw version of oatmeal, you’ll be well on your way to a vitamin, mineral, and fiber-packed morning of energy and joy every day! 1. You will love all the health benefits: There are both healthy and unhealthy types of carbs, and rolled oats are definitely in the healthy category. Oats have a very well balanced nutritional composition. They are high in a specific kind of fiber called beta glucan, which is linked to lowering cholesterol levels and overall heart-health. It also helps to combat diabetes, cancer and other diseases. Oats have a good amount of protein, iron, thiamin, phosphorus and selenium, and are also a great source of manganese and magnesium. Overnight oats are also more digestible after being soaked overnight. This means you absorb more nutrition from your food! Research has shown that a daily intake of healthy carbs like oats is connected with greater energy levels, improved mood and weight loss. 2. 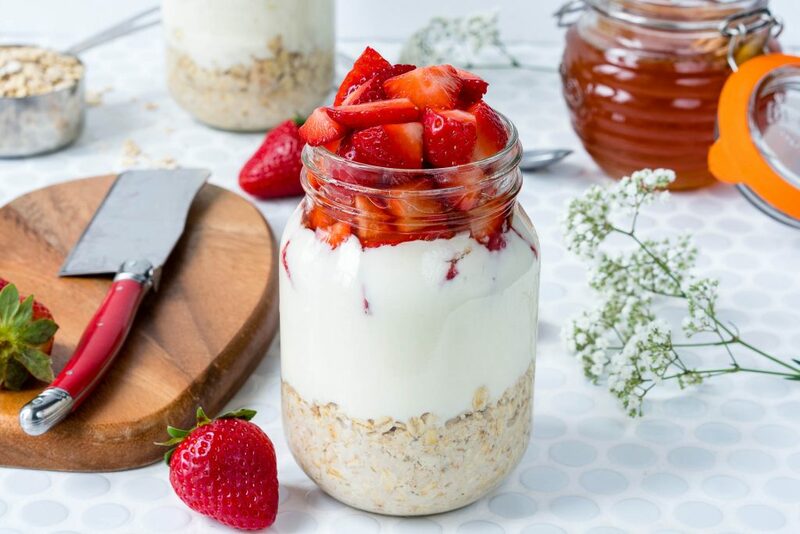 Overnight oats are quick and easy: All you need as a base is one cup of rolled oats (gluten free if preferred) to 1 ½ cups of almond milk, and some kind of sweetener like honey. Just put it in a bowl or mason jar to soak overnight, and the next morning you’ll have a rich, yummy pudding. You can add other things too (which I’ll talk about next), but what you have here is a very fast and easy breakfast! 3. There are endless ways to be creative: You can fix overnight oats in dozens of different ways, so it never gets boring. This is also a great way to add even more nutrition to your already healthy breakfast oats. Try adding things like nuts/nut butters, berries, fresh or dried fruits, chia seeds, yogurt, cacao nibs, maca powder, protein powder or coconut oil! Get creative and have fun! 4. 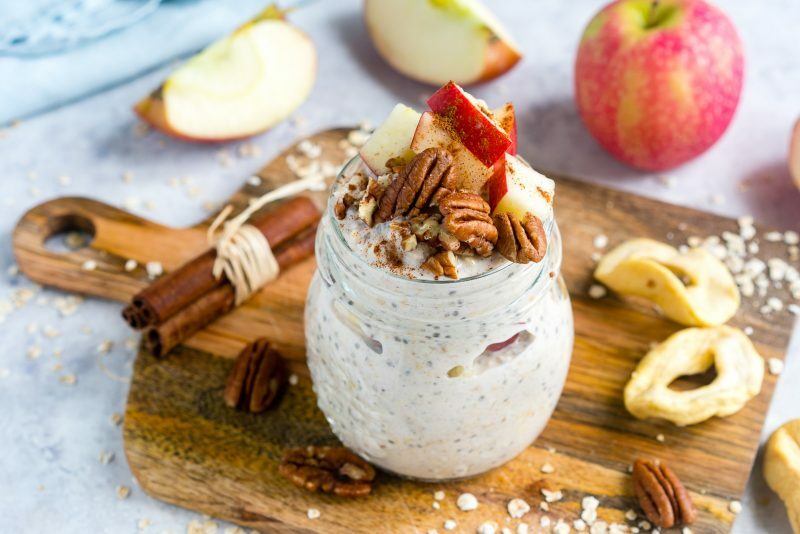 You’ll save money: Oats and the other ingredients that go into overnight oats tend to be fairly inexpensive, so if you plan ahead to have this a few times a week, you will likely be saving money. It will also really fill you up and satisfy you, so you will snack less and probably eat less at lunch. So again, this breakfast is both a time and money saver! 5. 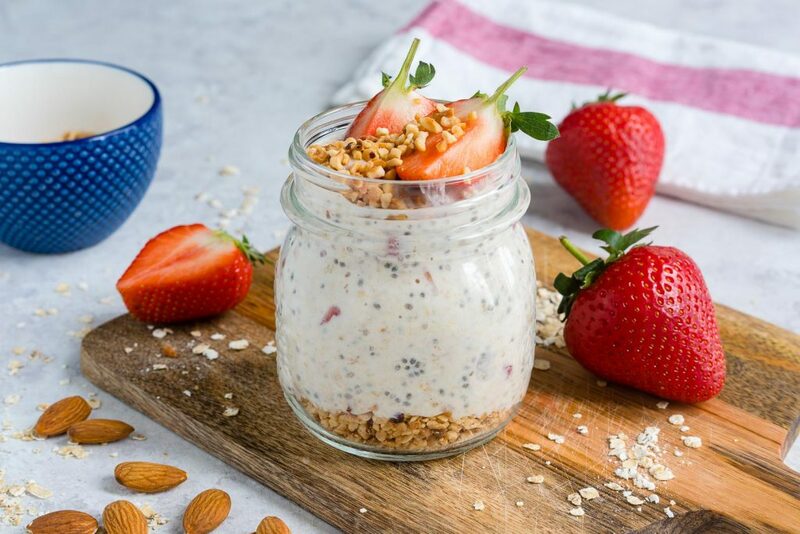 You will never make unhealthy breakfast choices again: If you always keep some overnight oats soaking and ready, even if you’re running behind schedule you can so easily grab that jar of oats and a spoon, and you’re off! No more temptation to grab something less healthy or more pricey while out and about, or to eat those doughnuts and muffins in the office break room. 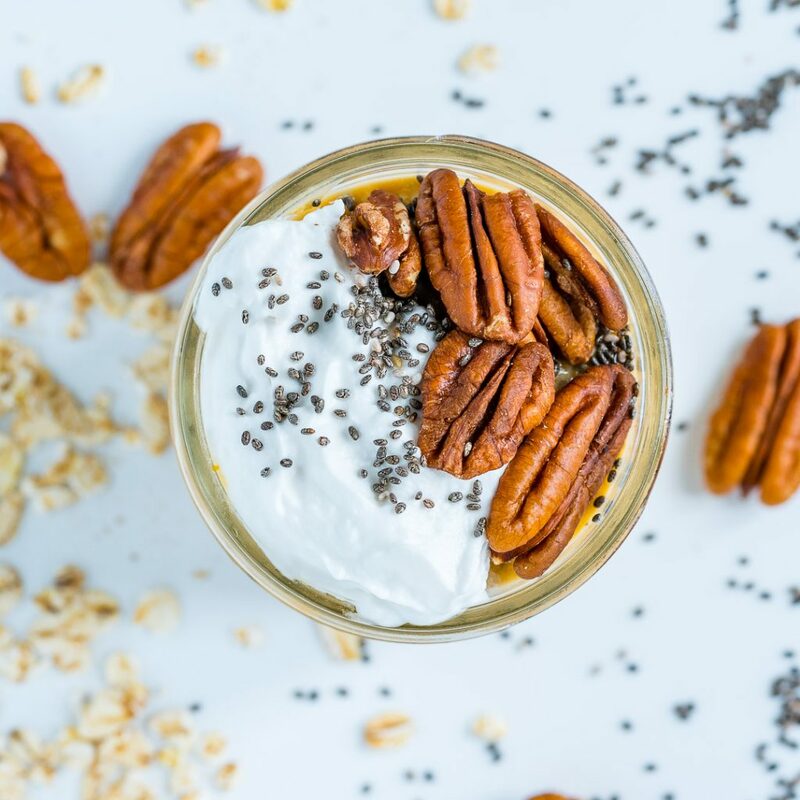 Now, try these incredibly delicious Clean Eating approved Overnight Oats recipes! 1. 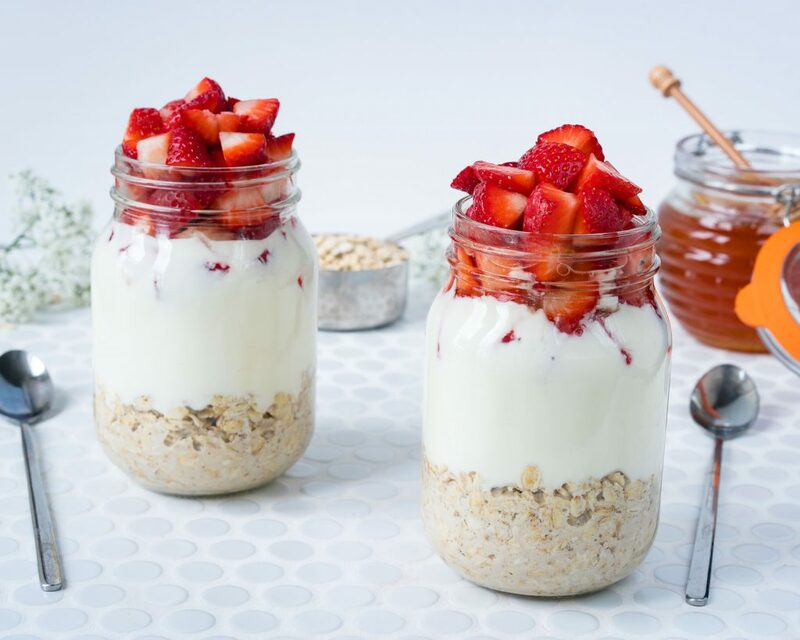 Try these Strawberry Cheesecake Overnight Oats! 2. 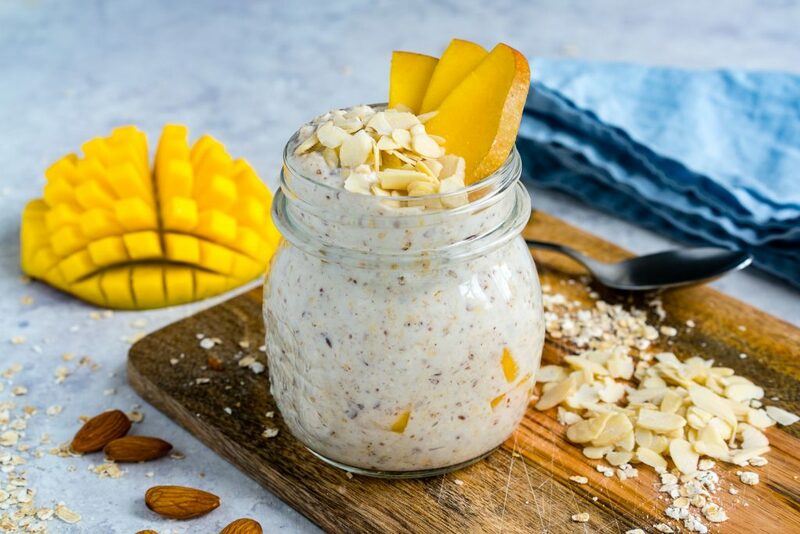 Try these Mango Coconut Cream Overnight Oats! 3. 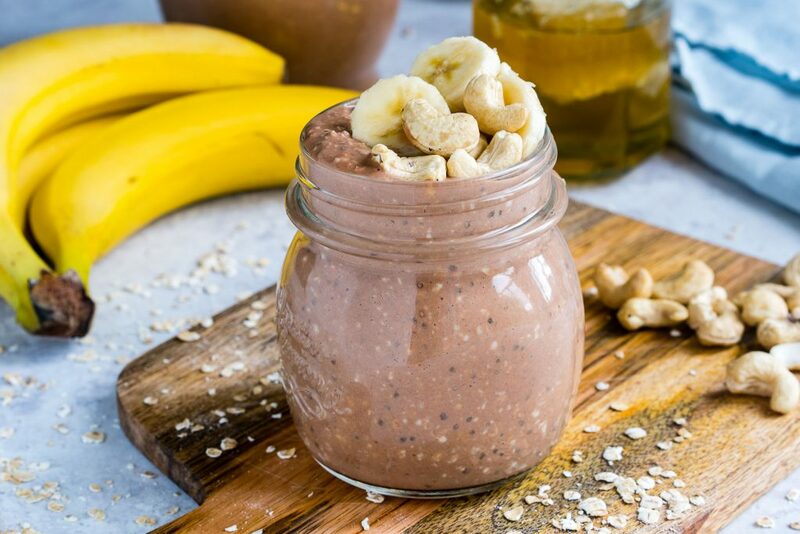 Try these Chocolate Cashew Butter Overnight Oats! 4. Try these Pumpkin Spice Oatmeal Jars!